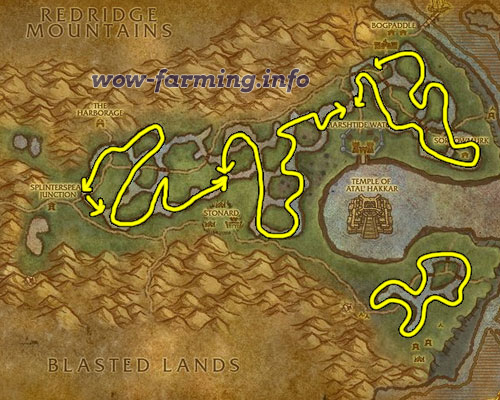 Farming Sorrowmoss is really easy, you can find stacks of it in a matter of minutes. It might not be worth much on your auction house though, ranging from 50 silver to 5 gold each depending your economy. It’s used in classic elixirs and to level alchemy to 300, so it may not sell very fast either. You’ll want to be level 52 or higher and have herbalism at level 285 or higher before heading to farm this stuff. It will sell fine in stacks of 2, 5, 10 and 20. Some players have reported being able to sell these in stacks of 20 for 300 gold a piece. Try it on your realm and see how it goes.